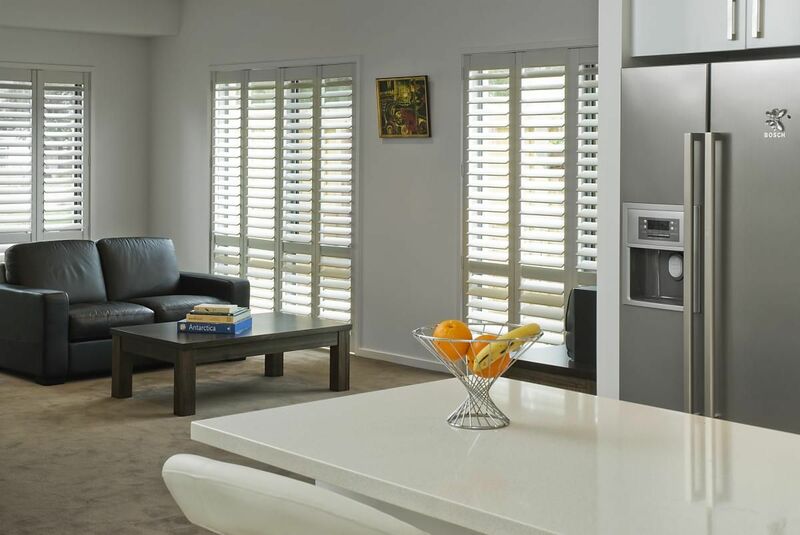 6 Reasons Why Plantation Shutters are the Most Popular Interior Shutter Today! Composed of louvered slats that can tilt to facilitate light control and privacy, our plantation shutters at Awesome Blinds, can offer you the cleanest, neatest and the most accurate fit. Since plantation shutters are the most aesthetic window treatments that add value to your homes, it is extremely important that you invest time and choose the one that best suits your spaces. Here, in this blog, we will give you 6 exact reasons why our plantation shutters are absolutely loved by homeowners. 1. Unobstructed View – The panels of a plantation shutter can be pulled off, providing a clear view out of your window. Due to this, they give you unmatched flexibility, in terms of an unobstructed view. For increased privacy, you can tilt the louvres and close the panels according to your choices. A fully unobstructed view out, a partial view or no view at all, get it all with our plantation shutters. 2. Adds Value to your Home – Shutters can be a bit expensive but they are an investment worth making. They are long-lasting and add an elegant touch to your interiors. Both, in short-term and long-term, shutters add up to the value of your house and eventually, improve the quality of your space. 3. Easy Maintenance – At Awesome Blinds, our plantations shutters are one of the most easily manageable window treatments available. They are completely mounted on all the sides and are entirely cordless. This makes cleaning the plantation shutters, a walk in the park. 4. Complete Light Control – The way you can control the view from your plantation shutters, in the same way, you can control the amount of light that is let into your space through them. If you want to allow the light in, tilt the louvres open and close the panels. Similarly, if you want to block any light from coming in, lower the tilts and close the panels completely. 5. Versatility – Our collection of plantation shutters is extremely versatile. The bi-fold system and the by-pass system can be used for both – closets and sliding glass doors. You can get custom plantation shutters created for arches and bay windows. Moisture-resistant vinyl shutters are a great choice for bathroom windows and garages. 6. Customisation – At Awesome Blinds, we can offer you window coverings with complete customisation. To add up, plantation shutters can be very easily customised to your choice. Choose from vinyl shutters, painted wooden shutters or stained wood shutters and create your own variety of frame options with us! Whatever you choose, be assured that this window treatment is long-lasting, safe for children, matches any interior and is easy to clean. What else do you need? Our plantation shutters in Melbourne win the gold medal! At Awesome Blinds, our shutters are the best at enhancing the interior style of your space. Get in touch at 1300 550 552, to explore the numerous options available with us!